What about a tour of London inventions? Well, this time we will not travel far away. 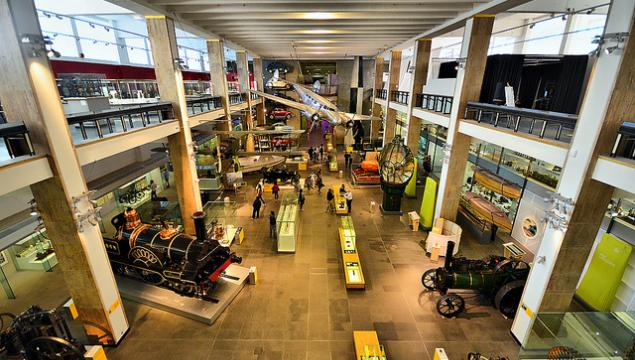 Besides touring London’s museums and attractions, there is another fascinating way to discover your Capital – through the numberless inventors who gifted our World with wonderful inventions. If you have a free week-end you would like to spend with your children in a really fun, educational and exploring way, you may tour the city according to the locations where amazing inventions were done. It will bring you to streets you have never visited, squares that were boarded with busy small workshops decades and even centuries ago, and you may discover a plate with the mention of an inventor on the house he was living in. Of course, if you come by car from outside the town you may comfortably park your car at the closest London Airport Parking, and continue your tour by public transportation to avoid the traffic stress of the town centre. There are really great inventions that were made in London. One which may well be the first machine tool ever produced was a screw-cutting lathe invented by Henry Maudslay in 1797, that allowed the mass-production of identical screws and greatly facilitated any assembly work – from furniture to engines and machines. He first developed his machine at his own London lock maker shop at Wells Street, but later extended his production to marine engines. As early as in 1702, Elisabeth Mallet published the first London newspaper, the “Daily Courant” – at Fleet Street. 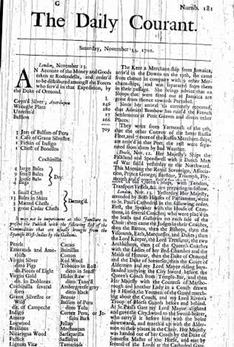 Some years later, in 1731, the first magazine ever published was Edward Cave’s monthly “Gentlemen’s Magazine”, that he printed in his home at St. John’s Gate. Another great engineer who experimented in his London room in Soho was the Scotsman John Logie Baird. What did he invent? No less than television! In 1925 he first successfully transmitted a 30-line vertically scanned black and white image onto a screen. His invention literally revolutionized the World, and as soon as in 1928 he presented a colour image transmission. His 30-line system was used by BBC until 1932. Experimenting with images unleashed a big frenzy among scientists – but the invention of the first movie camera is attributed to William Friese-Greene, who developed it in his studio at Brooks Street and captured Hyde Park Corner in 18888.
n inventor making proof of an incredible perseverance was John Harrison. Repairing watches as a pastime, he became incredibly skilled in fine mechanics since his young age. A big problem in navigation in the early 18th century was that while the latitude position of a ship could be calculated, its longitude could not – risking ships to be lost at sea. That’s why the British Government promised a reward of £20’000 to anyone able to produce a device measuring the longitude at sea with a precision of 0.5 degrees. 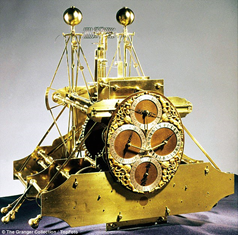 Harrison was convinced it could be done with a timekeeper, if he could counter the movements of the ship so that they wouldn’t influence on the measurements. In his home at Red Lion Square, London, he produced five consecutive instruments. While the instruments were essential, the league issued always new conditions before paying the price. Harrison died at age 83 without having been paid the entire reward. At the end of the 1800’s many various London inventions followed each other – from administrative regulation like traffic lights, public toilets etc., to various sports – as the football rules in 1863, table tennis in 1891 and more; but beside these inventions really important developments were made that launched the industrial revolution. 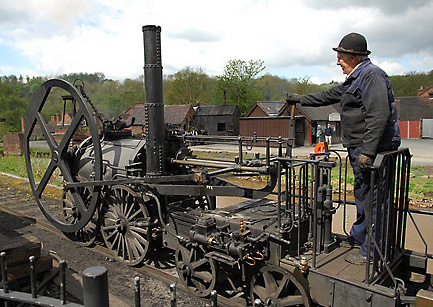 One of these big inventors was Richard Trevithick, who developed the pressure steam engine in 1799 and constructed the first Reyndarren steam locomotive in 1804 capable of pulling five vegans with 70 passengers and 10 tons of ore. He lived in Rotherhithe and later in Limehouse. In 1855 another huge step to industrialization was done by Alexander Parkes, who produced the World’s first plastic in Hackney Wick. You and your children will certainly enjoy a tour of London to trace the big inventors of this magnificent town!